Based on detailed ethnographic research, this book explores the varied experiences of women who have converted to Buddhism in contemporary Britain and analyses the implications of their experiences for understanding the translation and transference of Buddhist practices temporally and geographically. This book examines how women initially engage with Buddhist groups, their perspectives on religious discipline, and their relationships to ideas of gender equality and feminism. Whilst the recent study of Buddhism outside Asia has tended to emphasise the transnational and the global, this book counters this, highlighting the significance of locality and immediate community in contemporary women's faith practices. Showcasing the narratives and life-stories of twenty-five ordained women across seven different Buddhist groups connected to Britain, the research in this book challenges uncritical assumptions made about 'Western' women who engage with Buddhist practices, and provides a new framing of contemporary ordination through a detailed and holistic examination of a group of Buddhist practitioners that have received little focused attention. 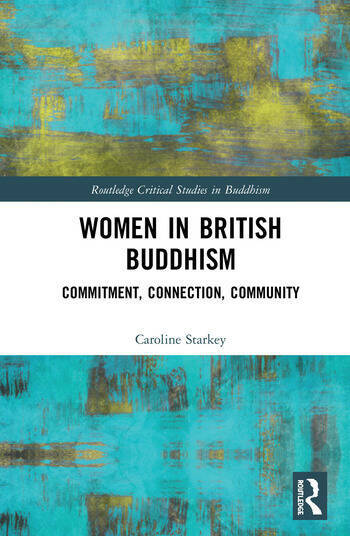 The first multi-tradition study of ordained Buddhist women in Britain, this book will be of interests to academics working in the fields of Buddhist Studies, Religious Studies, Gender Studies, Asian Studies and Sociology of Religion. Caroline Starkey is Associate Professor of Religion and Society at the University of Leeds, UK.